﻿ Real Madrid 0-1 Betis. Shocking defeat at the Bernabéu! 20.09.2017 » Real Madrid 0-1 Betis. Shocking defeat at the Bernabéu! 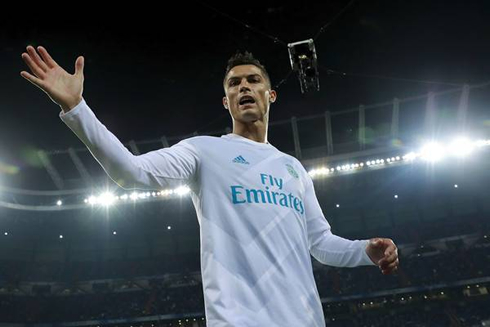 Despite Cristiano Ronaldo's comeback tonight against Betis, the Merengues disappointed their fans at the Bernabéu for a 3rd consecutive time in the Spanish League, as they were beaten 0-1 by the Sevillian side in frustrating display. 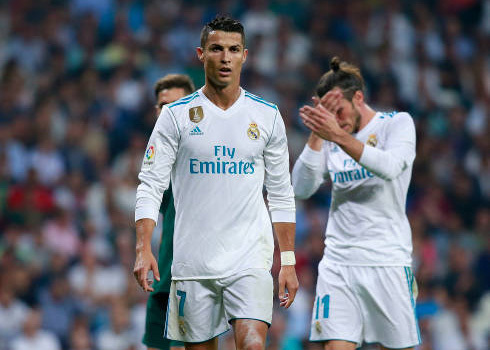 Another league game at home and another upset for Zinedine Zidane and his pupils, as Real Madrid were defeated 1-0 by Betis. The Merengues' early season form, especially at home in La Liga, should be an exercise in caution. Whether it's the players or the fans or the entire club, it's clear Real Madrid were just a bit too confident after the stunning end to last season. There's far more work to be done. In La Liga a 7-point gap at the top might as well be 10, especially considering the form Barcelona have been on as of late. Real Madrid are far from complete at the moment and some soul-searching will be needed if they are to compete for all of the trophies many fans gleefully anticipated winning prior to the start of the season. The third game dropping points at home and their third game without a win in the last four games, have left the two-time UEFA Champions League winners in 7th place in La Liga. And as I mentioned above, seven points behind Barcelona. The odd thing about this game, however, is that the team cannot be blamed for a lack of effort. It's not that Madrid came into this game specifically expecting points, they ran from the first minute and attacked Antonio Adan in goal making the former Real Madrid keeper the busiest man on the night. There was so much desire, yet, not enough class in the final third. Now moving ahead - what needs to be done? It's hard to pinpoint exactly, but Madrid need to start getting results early and killing off games before anyone else gets a chance to. They need to stamp their authority on matches earlier. While they tried to tonight, it wasn't successful and Betis held firm. Last season we also drew a few times in September so it's not panic time yet, but if Madrid aren't back on the winning side next week, it could be a long season indeed. Cristiano Ronaldo next game is for Real Madrid on September 23 of 2017 against Deportivo Alavés. You can watch Juventus live stream, Alavés vs Real Madrid, Girona vs Barcelona, Southampton vs Manchester United, West Ham vs Tottenham, and Bayern Munich vs Wolfsburg, all matches provided from our streaming live game pages.